No one is indispensable. Yet history is full of individuals whose absence or presence changed the course of human events and altered the fate of nations. Most of these were autocrats whose accumulation of power was itself the reason to fear the vacuum resulting from their departure. But Abdul Aziz Mughal, who died on December 27, 2016 at the age of 83, became indispensable because he had dispensed with the things that empowered tyrants and with which they rarely parted: pride, power, anger and vengeance. Abdul Aziz Mughal was born on April 1, 1934, in Dera Ghazi Khan, South Punjab, Pakistan. Becoming actively involved in sports in his 20s. Abdul Aziz Mughal a man who shines from the southern Punjab Dera Ghazi Khan and who not only become famous by himself but also represent Pakistan in the world as Captain of Pakistan Volleyball Team & Director General Sports. From his early age he was much interested in high jump and so he had a natural inclination towards Volley Ball which is a game of high jumps. He was the inspirational leader of the Pakistan Volleyball Team of the 1950s, one of the best, and certainly one of the most successful teams of all time. He was a centre-forward of versatility and authority: his greatness lay not only in his prolific goal scoring, but in his ability to influence play in all areas of the ground in an era when players stuck to their positions and were relatively static. In his captainship the Pakistan Volleyball Team represents the country in India, Bhutan, Iran and Sri Lanka and got first position. He represented Central Zone in the Volley Ball Championship held at Peshawar in 1960. A multitalented man who not only a volleyball player but a professor, athlete, and philanthropist. He achieved success through “plain hard work.” He also excelled at track, high Jump, athletics and basketball. His personality has so many aspects and has a lot of charisma. He made a record in Punjab university athletic competition in High Jump and ranked first. As a high jumper, he broke the previous records of universities and Punjab, still in 2017 no one beat his record in High Jump in Punjab university national high jump competition. He captained the Punjab and university athletic teams in 1961 and 1962 respectively. After he ended his playing career, he brought his experience as a coach of youngsters and served as a coach of Sindh Volleyball Team. As a coach his Sindh Volleyball Team won many titles at provincial level. Then in 1964 he appointed as Assistant Director Physical Education Sindh , in 1969 he served as Assistant Professor in Government Physical Education Lahore, then after some time he worked as Principle of Physical Education and served the college for long time. He was then sel ected as a Director General Physical Education Punjab in 1983. The government of Punjab recognized his efforts as a well-educated Sportsman of Pakistan and his commitment to sport, and his delegation, punctuality to work at that time CM Punjab now current prime minister of Pakistan Mian Muhammad Nawaz Sharif ap pointed him as a Director General Sports Punjab in 1987. During his tenure he had done lot of work for the progress of sports in Punjab. He made the national hockey stadium in Lahore. He gave orders to build sports ground in all districts of Punjab and organized sports events in each district of Punjab. He builds many coaching centers in Punjab Tehsils. He identifies the need of gymnasium in Punjab and suggests the government to build gymnasium in Punjab but unfortunately this could not happens in during his tenure. He encourages students to participate in sports. He believed that a healthy mind builds in playgrounds and character builds in class rooms and to promote Pakistan Sports in the world he participated in sports conferences in India, Sri Lanka, England, Europe and America as Director General Sports Punjab. Abdul Aziz Mughal was a trailblazer, and most of all, he was a legend of the game. He won everyone’s heart with his brilliance. Aziz was one of the good spikers of the country. Abdul Aziz died at his home in Lahore on December 27, 2016. 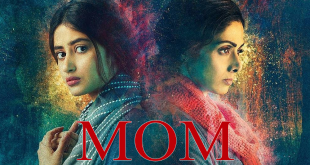 MOM: A movie that breaks the stereotypes!